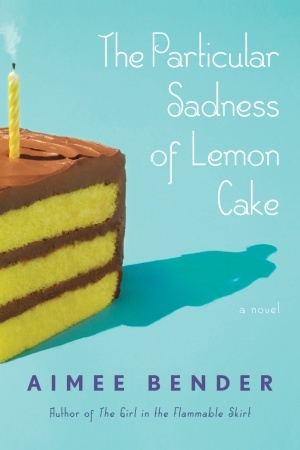 This is an interesting book, with a bit strange title “The Particular Sadness of Lemon Cake” By Aimee Bender. I just enjoyed the story so much that I would love to recommend you to read. It started with a young girl, Rose Edelstein, who discovered her gift about reading people’s emotions. It began on her 9th birthday when her mother made a lemon cake, which she ate and realized that she could sense something about her mother’s feelings. From that point, whenever she tasted any kind of food, she would feel the emotions of people who made it. Some of her family members possessed different gifts also. They were special! Along the line we’d follow Rose’s life from childhood to adulthood. We would see her joys, sadness, struggles and so on. It seemed like she was merely no different from ordinary people around her. This book is a page turner… great for summer reading. Hope you enjoy!